Toaster is a common kitchen appliance for most of home. There is nothing special of it and in most cases, it is just a plain metal box. 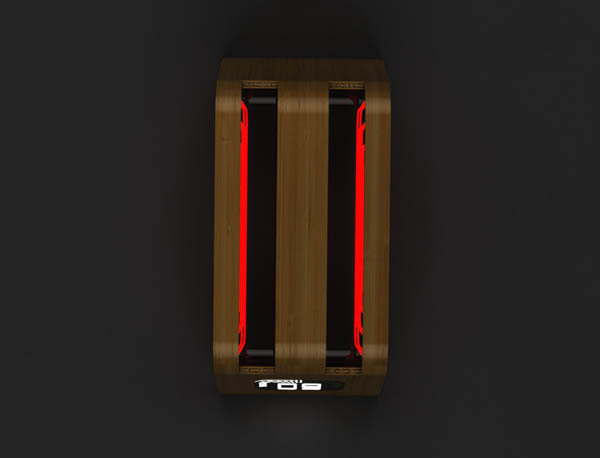 Hence, industrial designer James Stumpf tries to re-design it and making your toasting experience a bit interesting. 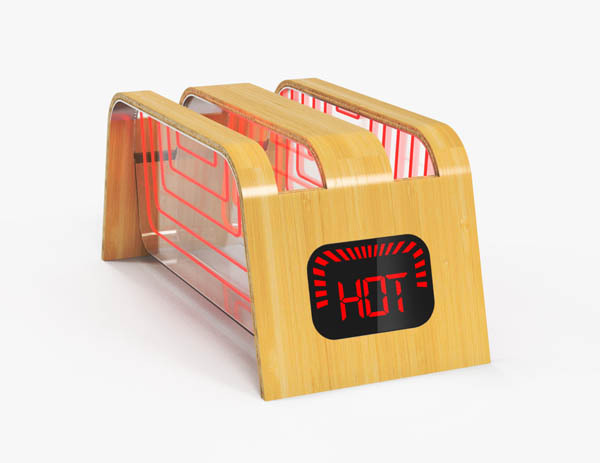 Named ” Bamboo Glass Toaster”, it is a conceptual “top-down” toaster that is made up of glass and bamboo with heat element stripes and a digital timer to notify you when the toast is ready. 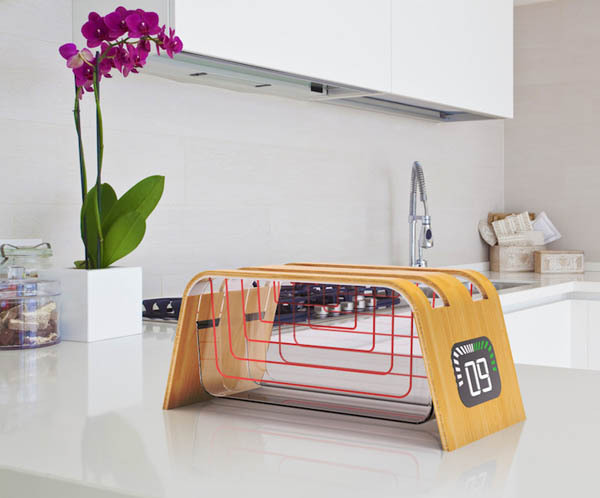 The key design of the toast is its transparent wall which allows user to check the state of the bread in an easier fashion. So, what do you think of this toast? From my personal view, it is not my cup of tea. First, Stumpf has stripped his toaster of one of its most distinguishing features: the pop up mechanism. Calling that attribute “bizarre,” he replaces it with wide, easy-access slots. But is wide means energy waste in toasting process? Second, usually we do other things when we make toast instead of staring at it. The glass wall is nice to have but not really necessary.